Two striking plain qualities combine in the new collection, Bonny & Bliss. 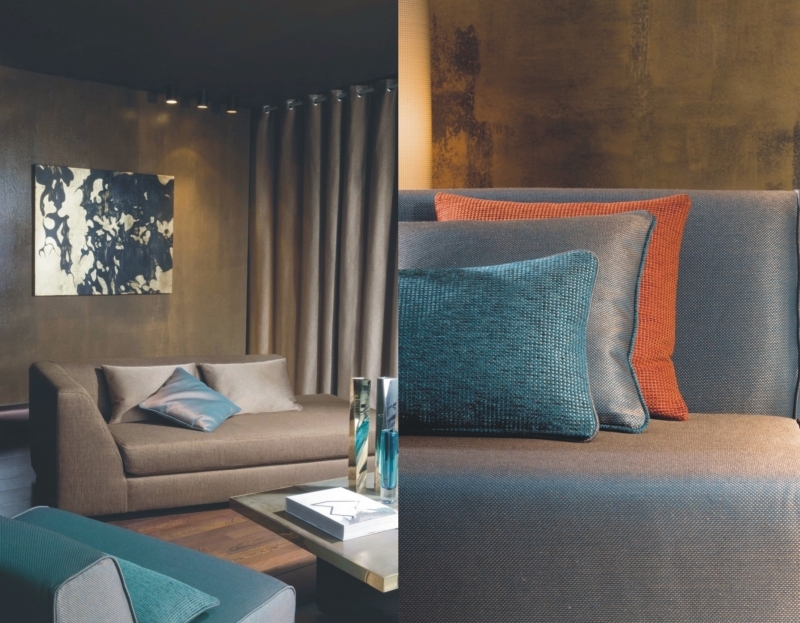 These distinctive designs are decidedly glamorous and feature loads of texture and surface interest. One of the most outstanding characteristics of these two plains is undoubtedly the contrast between matt and lustre yarns giving the fabrics a lively and interesting character. Both qualities are woven in a combination of man-made and natural fibres where cord-like novelty yarns have been utilized in combination with chunky chenille yarns, creating a 3D effect. Both Bonny & Bliss achieve wonderful Martindale rub test results of 30 000 and 35 000 respectively. These fabrics are washable at 30°C, are dry cleanable and also pass various flame retardancy tests thus making them ideal for curtaining, residential upholstery and contract upholstery applications. Each quality is available in 20 colourways, some of which are subtle tone-on-tone effects, whilst others dazzle with high contrast colours. Of special interest are colours such as Jewel and Dragonfly and also colours such as Sterling, where the heightened contrast adds excitement to the collection. The colour palette is all encompassing with loads of earth tones, neutrals and numerous other colours in the cool and warm spectrum.